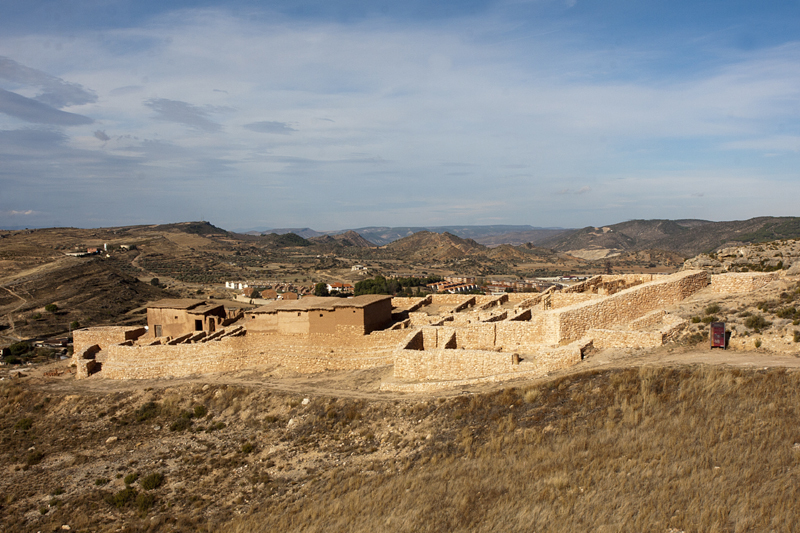 After the complete excavations (1999) showed the importance of the settlement, the Iron Age village of “El Cabo” was moved from the original site to prevent its destruction (it was close to an open air carbon mine) to the hill of Saint Macario. The village was C14 dated to the half of the 5th century BC and has a central road with a double line of houses of 25 square meters surface enclosed in a wall with defensive towers. It is the only example in Spain of this kind of translation. The works were funded with the aid of the Employment centre of Aragon. The local committee of Andorra is the promoter and the owner of the place. 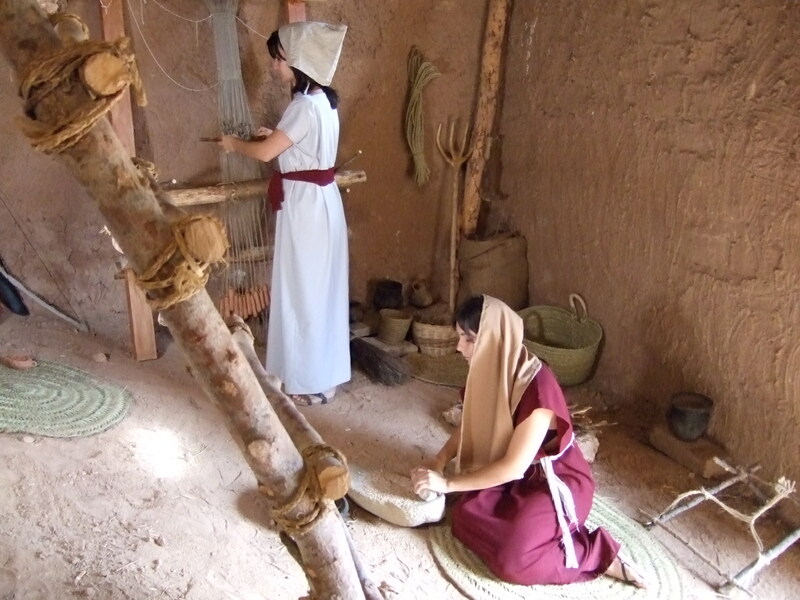 The reconstruction of the archaeological site has in its project a visitor centre too. Three houses have been reconstructed to the roof on the base of archaeological evidence from the site and one of these has been furnished accordingly. Maintenance problems have delayed the project of total reconstruction of the village. 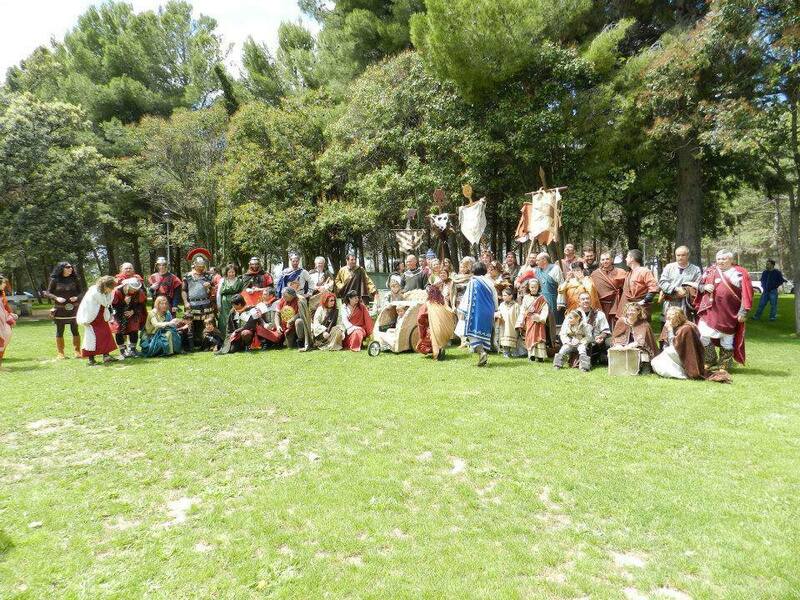 The park is part of the Iberian route of South Aragon and activities are carried out during the semana santa and for special occasions. Parque de San Macario, s/n. 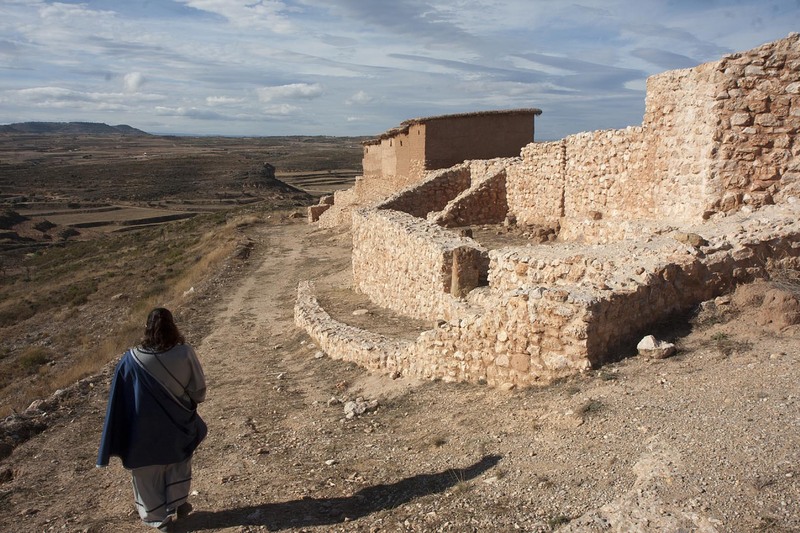 Archaeologist, manager of Consorcio Patrimonio Ibérico de Aragón since 2007 and responsible for the cultural and archaeological tourist route "Iberians in Aragon" since 2004. Director of the archaeological excavations of the El Cabo de Andorra (1999-2000).